WEY Technology GmbH is a hardware manufacturer of KVM over IP products, and also offers complete solutions for control rooms. With its outstanding service offerings - WEY is our primary partner for international projects. All WEY showrooms are equipped with our technology and offer insights and hands-on demos how integration leads to exceptional control room solutions. 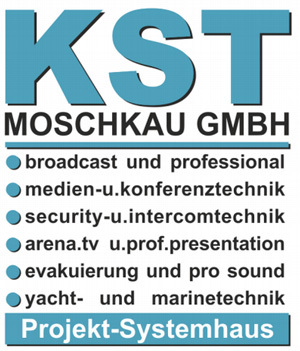 KST Moschkau GmbH is an integrator and AV specialist based in Germany. They offer complete solutions for AV, broadcast and public security projects. jusst Network Video offers TV streaming gateways and server for DVB-S,C and T for larger installations in public spaces or control room environments.